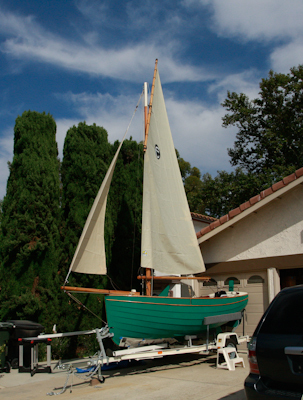 Time for some driveway sailing. 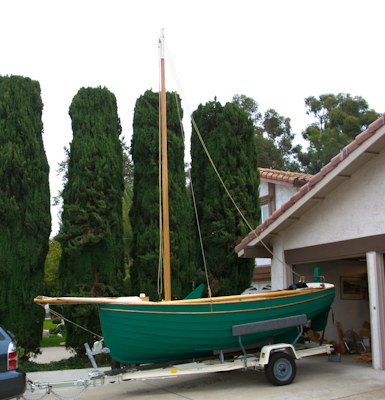 I stepped the mast for the first time and set the sails in the driveway. 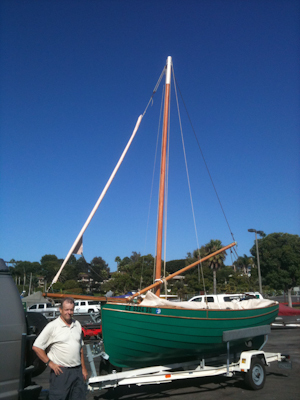 A few adjustments and “Alice Gale” will be ready for launch. 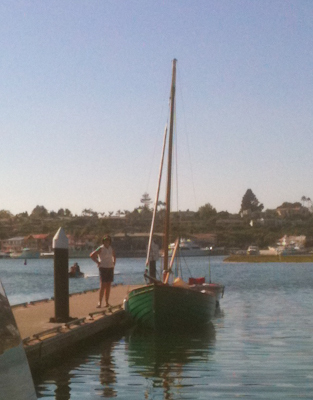 We took “Alice Gale” down to the water to get the centerboard set into its proper location. 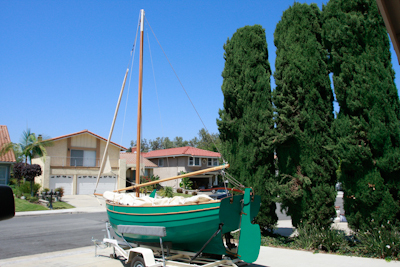 Might as well take a quick sail while we’re at it. Our official launch party is a few weeks away. First (pre) Launch, dropping the center board. been following your build,thanks very much and she’s a credit to you.Looking foward to the launch and well done again. She looks beautiful! Congratulations. It must be so exciting to be at this stage. With the lanch just a few days away it is very exciting. 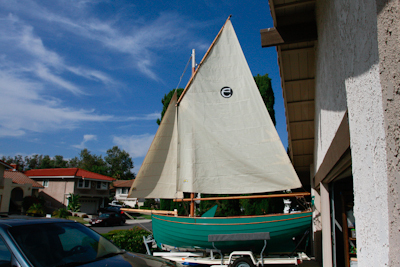 Two years this month I started the build of Alice Gale and now she is ready for the adventures I have planned.